Evergreen Gateway's merchant services credit card processing will help you improve point-of-sale transactions while increasing your retail sales! Evergreen Gateway's retail credit card processing solutions allow merchants to offer flexible payment methods at the point of sale, including major credit cards, debit cards and ACH/eChecks. Evergreen Gateway retail merchant accounts allow you to authorize point-of-sale transactions quickly and efficiently with the latest POS equipment. Customers can dip or swipe their credit or debit cards with ease and security, creating a retail payment processing system that leads to more transactions in a shorter period of time. With faster checkouts and efficient data verifications, you improve customer service while dramatically increasing sales. 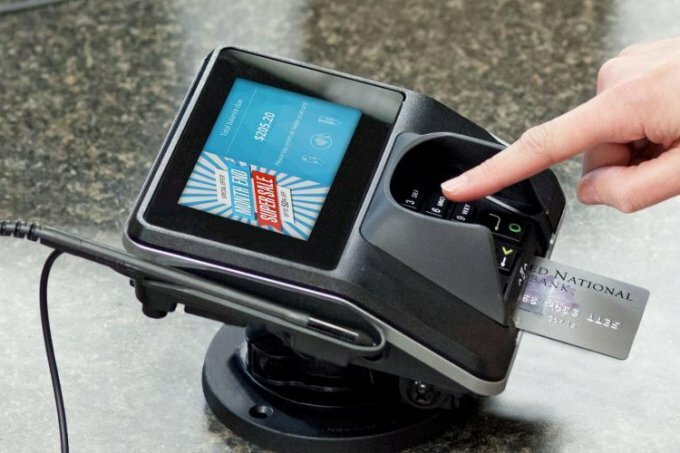 Nearly 60% of U.S. retail stores are now accepting chip card payments. The chip technology in EMV-enabled credit cards reduces the risk of fraudulent card-present transactions. Not only does this minimize your liability risk, it instills customer confidence in your business. Whether you need a simple plug-and-play EMV card reader with the Virtual Terminal, or a true terminal-based solution, we have options for you. At Evergreen Gateway, keeping credit card information secure is a top priority. Our retail merchant solutions comply with PCI DSS, maintaining the highest levels of security to minimize the risk of credit card fraud. PCI-compliant security features, such as point-to-point encryption (P2PE), keep credit card numbers encrypted from the point of entry to authorization and every point in between, while address verification systems help verify the true cardholder. Protect your business and your customers with Evergreen Gateway! Shopping online safely and efficiently is as easy as ever, especially when merchants take advantage of Evergreen Gateway's e-commerce credit card processing services. Now, accepting credit cards online — as well as other payment types — is just a mouse click away. Our secure e-commerce payment gateway allows you to accept major credit cards, debit cards and ACH payments for fast, secure Internet transactions, with always-low rates that significantly reduce costs. Verifying accounts is immediate and easy, boosting your online sales and increasing cash flow right away. Simple, fast website credit card processing tailored to your business — Evergreen Gateway makes it possible. Receiving payments online can be risky business as technology advances and electronic theft becomes more complex. Count on Evergreen Gateway's PCI-compliant e-commerce credit card processing services, security features and advanced fraud management tools to keep your business, your customers and your data safe from credit card fraud.